Thats a good point, but from everything Ive read about the LS7 the exhaust system is pretty solid as is, I remember reading headers and tune would only give you about 10hp? Last edited by D3troit Muscle; 02-11-2019 at 04:13 PM. Last edited by Travlee; 02-11-2019 at 04:18 PM. Whoops...I had to edit my post as I read your post incorrectly. The cost you posted for parts, labor, etc. isn't a terrible price. Labor here in Nashville was $2,400 to remove and replace heads and cam and dyno tune. I also fat-fingered and typed 110 cam. I meant 116. Nope...there's definitely gains for headers. Even more if you have a cam. Tune alone on a bone stock C6Z is typically worth ~20hp. Also I just got the total quote from my local shop which is $3100 for labor, parts, everything...a lot of money for no power gain lol. Don't let the swap scare you; it really is laughably easy. I've done two now, and both were very simple. If you can do brakes, you can do heads. AHP sends a kit complete with a thread chase for the head bolt holes and that paired with a vacuum and straws taped to the end make cleaning those holes cake. Even cleaning the deck is simple, although this is the part that can really screw things up so I probably went a little overboard. Once you're done, you'll be so glad you saved the labor costs which you can use to invest in a tune or some other mod! This. You’re literally taking a few parts off and then doing the opposite for install. Not rocket science and can save you quite a bit. Ya i dont know man lol, i believe you, but reading the DIY sticky on here for it...it's a lot to take in, I like youtube tutorials better haha. I have removed heads an swapped cams 2x's using CF tutorials. I dunno how we all got along before the internet. Clymer books an trial an error. The DIY guides are very comprehensive. I've read of people on here doing it in a day; it certainly took me longer, but I tend to be very thorough and triple check everything along the way. Not that others don't, but I definitely don't get in a hurry. I took two days my first time, got it all torn down, cleaned up, and new heads torqued on the 1st then buttoned everything else up and changed all the fluids the 2nd. On this car, I got everything torn down and the deck cleaned in one day, then put it together the next weekend when the heads arrived. It's a fun project, and a great sense of accomplishment when you're done. I say give it a whirl! If anything weird happens, you have this forum to help you out. And if you go with AHP, Kohle offers his full technical support if you run into a stumbling block...and that guy is nocturnal. Actually, I think he practically never sleeps...not sure how he does it. You can typically get a hold of that guy at all hours of the day and night. Hey bud, yea if you end up getting a Z06 do yourself a favor and either verify if it has new aftermarket heads on it from a reputable manufacturer (if buying from a private owner) or spend the money and do the heads. Personally on my Z06 I am on my second motor. I did AHP stage 4 heads on it and couldn't be happier. Once you do them you can thoroughly enjoy your car without any fear of the exhaust valve drop. Anyone who tells you it is a myth is just lying to you and themselves. My brother and I did the LS7 heads in our driveway. We are both mechanics, not sure what you level of mechanical skill is. If you're someone who doesn't know how to do simple work on cars I'd recommend having a professional shop do it for you or go with another flavor of LS-motor. Not saying the head swap is hard but you have to be meticulous and careful. Just my 2 cents. Don't get me wrong once the LS7 has good heads on it its reliability is like that of any other LS motor IMO. Last edited by Z06_Bandit; 02-12-2019 at 02:36 PM. agreed and should be an automatic thread re-direct every time the horse gets another hit. There may be some gains to be had with long tube headers but I would wager they are minimal and so to me, they weren't worth the expense and headache. The LS7/LS9 exhaust manifolds flow very well, and it's your cats that are restricting your exhaust flow more than anything else. A lot of the gains with LT headers people are seeing come from when they simply remove their factory downpipes and primary cats! In fact, there are a lot of folks in the C7 Z06 forum with their LT4 who are just removing their factory downpipes with the primary cats and replacing them with a custom fabricated downpipe without cats and they are seeing gains 75%+ those with LT headers. In addition to the additional up-front expense of headers, they also usually add more sound in the form of undesirable interior resonation and heat throughout the engine compartment (not to mention usually residing right next to your starter motor,) potentially causing premature failure there. Unless you're really planning on racing for money on a closed course, they just aren't all that necessary. 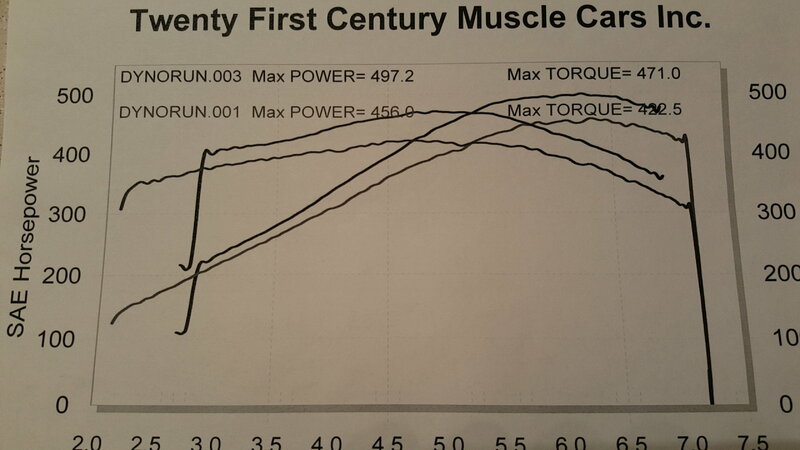 With my factory exhaust manifolds, a mild 116 cam from TSP and AHP ported heads, I'm more than happy with my results which I believe are right around where a stock C6 ZR1's is at; (sure, I don't quite have their FI torque curve, though.) If I go much more than where I'm at, I'd probably have to start thinking about upgrading my clutch. Last edited by BigVette427; 02-13-2019 at 09:30 AM. Don't let the swap scare you; it really is laughably easy. I've done two now, and both were very simple. If you can do brakes, you can do heads. I contemplated doing my own. And looking back, I should have. I suppose if I wasn't going have a cam installed at the same time, I might have indeed done it myself, saved some bucks, and been a little proud that I did it myself. I suppose I can always go down to the garage and pull them off, take a look, and put them back on. That's kinda why I made the video that I did, to help people find the answers they are looking for or to help people answer the questions by saying "here, watch this vid." I had the same questions about 2 years ago myself. 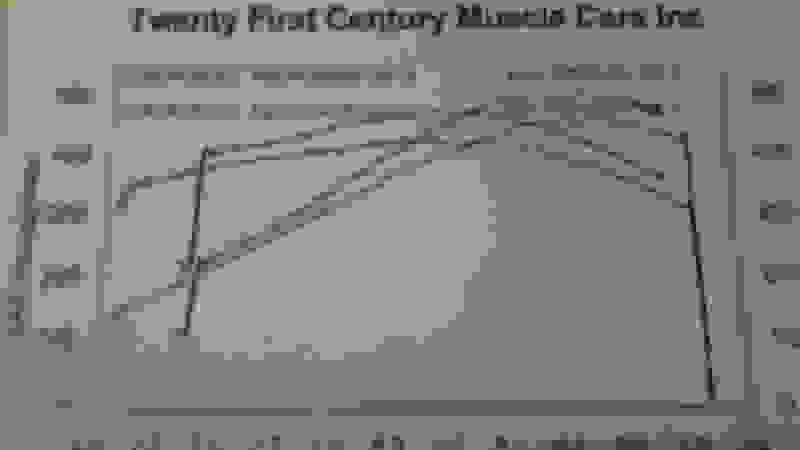 It took a lot of research and reading because there are such differing opinions. There may be some gains to be had with long tube headers but I would wager they are minimal and so to me, they weren't worth the expense and headache. The LS7/LS9 exhaust manifolds flow very well, and it's your cats that are restricting your exhaust flow more than anything else. [QUOTE]In addition to the additional up-front expense of headers, they also usually add more sound in the form of undesirable interior resonation and heat throughout the engine compartment (not to mention usually residing right next to your starter motor,) potentially causing premature failure there. Unless you're really planning on racing for money on a closed course, they just aren't all that necessary. Another good point, Biggie, I have had headers on every high-performance vehicle I have owned (except this one) and there's always a tradeoff. Fitment, heat, noise (if that isn't your thing), etc. For our cars, of course they all have the Corvette tax on them, and start at around $1k and go up. I need tires more than I need more power right now. You and I (among many) have the same heads and similar cam. I pulled 516 to the tire on a Mustang Dyno with 4-5 month old gas in it. What numbers did you get with your combo? In addition to the additional up-front expense of headers, they also usually add more sound in the form of undesirable interior resonation and heat throughout the engine compartment (not to mention usually residing right next to your starter motor,) potentially causing premature failure there. Unless you're really planning on racing for money on a closed course, they just aren't all that necessary. IM also curious BigVette, what numbers you at? JDebler what about your numbers?? Last edited by D3troit Muscle; 02-13-2019 at 02:19 PM. Real close to your numbers, Jason, my Z06 put down 520rwhp on a modest Mustang Dyno, as well. I think there were a lot of gains to be had when after I initially did my heads and cam, I later came back and added the Corsa x-pipe (mine is a 2012 so it was the first year of four cats) and an Airaid intake. I think I needed more CFM to feed my new ported AHP heads and TSP cam and the reduction of the secondary pair of cats was a big increase in my exhaust flows.